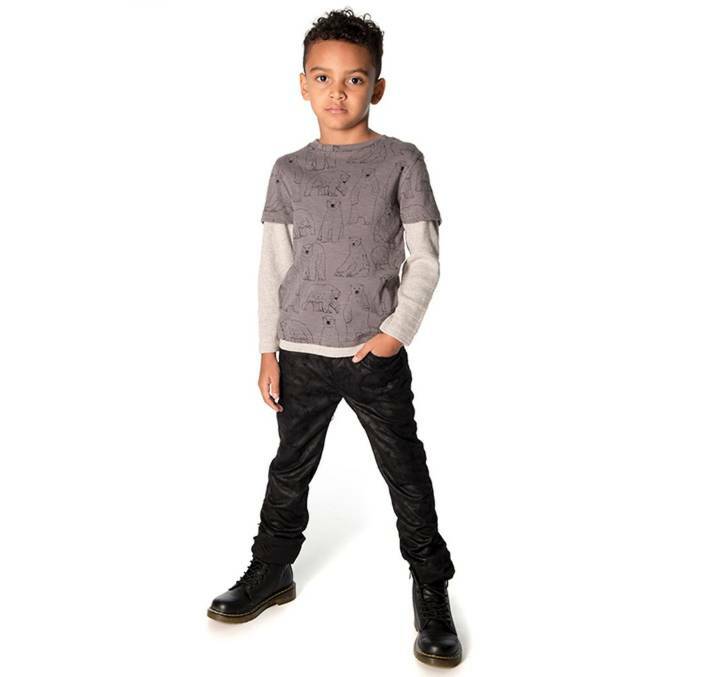 This new faux layer tee is perfect for lounging around after school or gallivanting on the weekends. 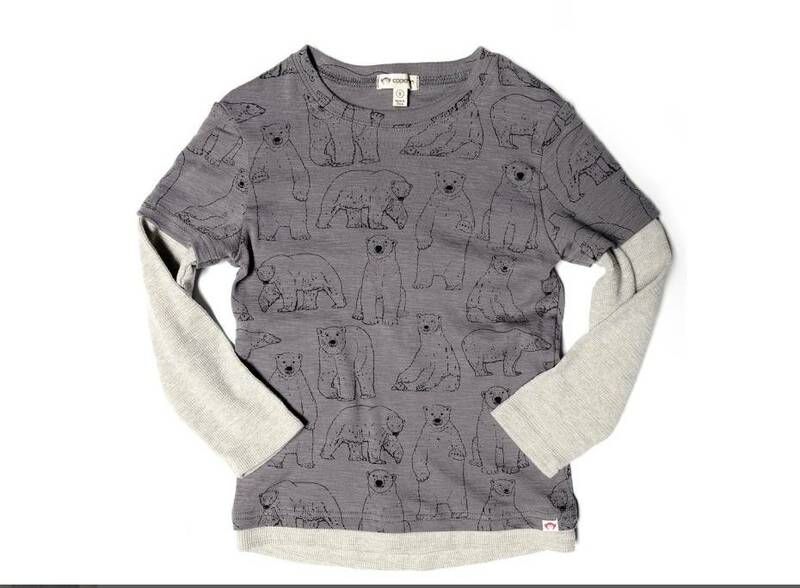 The Smoked Pearl has a pewter body with our polar bear print and contrasting heather sleeves. Black features a distressed finish.